There are several treatment options for arthritis. You can try self-treating at first, but it is recommended that you consult with a doctor if symptoms persist. Even as you discuss your options with your doctor, there are different treatment paths for you to consider. Do you feel more comfortable with natural treatment or traditional treatment? A conservative approach or an aggressive approach to treatment? You may find that after you make the necessary choices, based largely on your doctor's advice, relief from arthritis pain may seem inadequate. Not all treatments are equally effective. It can take trial-and-error to determine what works best for you. It is important to recognize when relief is inadequate and make necessary adjustments. Here are 10 possible reasons you may be experiencing insufficient relief from arthritis pain and other symptoms. 1 - Over-extended Period of Self-treatment. Most people try some form of self-treatment when they experience early symptoms of arthritis. Early on, you may not realize it is arthritis and attempt self-treatment with the hope it is a minor ailment or injury. People often try over-the-counter pain relievers, over-the-counter topical creams or patches, heating pads, and supports for the affected joint. While self-treatment is appropriate for short-term relief, it should not replace consulting with your doctor to get a proper diagnosis and establish a long-term treatment plan. 2 - Noncompliance With Treatment Plan. After you and your doctor agree on a course of treatment, it is up to you to stick with the plan. 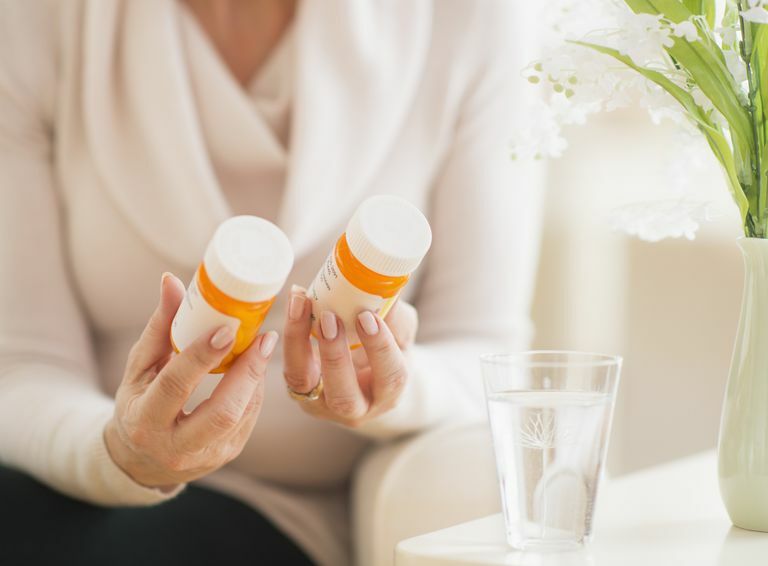 If you don't take your prescribed medications as directed or if you skip your ​home exercises or miss sessions at physical therapy, you are non-compliant with your treatment. To achieve full benefit you must be compliant. Skipping is not an option. 3 - Fear of Medication Side Effects. When you read the list of possible side effects associated with a particular medication, you may be inclined to steer clear. It is very important to be aware of possible side effects or adverse reactions, so that if an undesirable side effect develops, you can report it to your doctor and begin to manage the problem. Don't let fear keep you from trying a drug which may be beneficial. Weigh the benefits and risks of each medication. 4 - Exclusive Natural or Traditional Treatment Path. Many people with arthritis prefer to follow a natural or a traditional treatment regimen. Usually, their choice is exclusive, meaning, they don't allow for a crossover between the two treatment paths. It is possible that the optimal treatment plan for you may involve a combination of natural and traditional treatments. 5 - Need More Time. Many effective arthritis treatments do not work immediately. There are slow-acting medications, such as disease-modifying anti-rheumatic drugs (DMARDs) and biologic DMARDs. There are injectable treatments, such as viscosupplementation, which require a series of injections. Know when you should expect to see results before judging effectiveness. 6 - Fear Addiction to Painkillers. Some people avoid the use of opioid analgesics to help relieve arthritis pain because they fear addiction. This is something you should discuss with your doctor if you have concerns. It is important to understand the difference between tolerance, dependence, and addiction. For some people, there may be legitimate concern about addiction, but for others there is low potential for abuse or addiction. 7 - Undertreatment of Pain. Prescription drug abuse has become a huge problem in the U.S. Consequently, according to the American College of Preventive Medicine, "Physicians are currently challenged to deal with the 'perfect storm' -- a confluence of pain control versus risk of misuse and abuse of prescription medications." While preventing prescription drug abuse has become a hot topic, doctors who fear scrutiny of prescribing practices may become too conservative and under-treat their chronic pain patients. 8 - Prolonging the Decision to Switch Medications. With regard to your treatment plan, these are among the toughest questions you must ask yourself. Is your current treatment plan working well enough? Would another medication or treatment be more effective? The difficulty with knowing when to switch is that you could make things worse, instead of better. It's somewhat of a gamble. Discuss your options and treatment goals with your doctor. Make informed choices. 9 - Afraid of Self-injection. Some rheumatoid arthritis drugs (e.g., methotrexate, Enbrel, Humira, Cimzia, and Simponi) are administered by self-injection. Some patients are needle-phobic, even though the drug manufacturers have developed auto-injectors to make it as simple as possible. If you are avoiding biologic drugs because you can't bear the idea of self-injection, talk to your doctor about other options. Some biologics are administered through I.V. As for methotrexate, it is available as an oral drug, as well as injectable. 10 - The Quack Cure Lure - People with arthritis can become so frustrated by pain and physical limitations, they are willing to try anything -- even products that make sensational or false claims. Unproven remedies are a waste of time and money. Don't be drawn in by the false promise of a cure. Use, Abuse, Misuse & Disposal of Prescription Pain Medication Clinical Reference. American College of Preventive Medicine.